Basically … out of all the ridiculous religion stories which are greatly, wonderfully ridiculous—the silliest one I’ve ever heard is, ‘Yeah … there’s this big giant universe and it’s expanding, it’s all gonna collapse on itself and we’re all just here just ’cause … just ’cause’. That, to me, is the most ridiculous explanation ever. As dumb as that may sound, that’s a big part of my testimony. To be honest, what would make the most sense to me is that nothing ever should have existed. My mortal mind can’t comprehend that stuff has just always existed. At some point there had to have been a beginning, an atom, a… something that started this whole thing. Whenever I try to comprehend the fact that things even exist my mind starts short circuiting. The most rational thing to me was that nothing, not even nothing, not even a vacuum to contain that nothingness, just nothing, should ever have existed in the whole history of ever. There shouldn’t even be an ever for that nothingness to exist in. I’ve heard once a philosophy that this whole earth, and life and stuff doesn’t exist, but it’s merely a dream of another being. But, even in that philosophy, that other being exists. No matter how you slice it or dice it, something somewhere exists and that whole concept to me is completely mind boggling. So, as there is existence, some great force organized this existence and created it. Whatever else you might want to say about that power, it is an awesome power, and I consider this organizing, creative power to be God. I believe in the power and knowledge that comes through science, but not to the exclusion of God. In nature we observe that most all systems lead towards entropy, but somehow despite this natural order we’re supposed to believe that without an outside organizing force things were organized? That makes no sense to me whatsoever. I believe in God as the great organizing force that put these things in motion and I can’t imagine that any being that put that much care into organizing and putting in motion the things that make up our world and universe doesn’t care for those that he has put there. This to me is the essence of what God is, I believe He is a being with the power to organize and create our world, and the care for the people and creations he has put thereon. I’ll discuss in a later post more of my specific beliefs of who God is, but I think that’s a good starting point for finding common ground. For anyone who would like some more food for thought on the theory of evolution as taught commonly I’d recommend reading through the LDS Old Testament Student Manual Chapter 2 under Points to Ponder. Although this is of course a theological publication it had a very interesting scientific discussion on evolution that I found quite fascinating. Far from being asked to follow blindly, we’re asked to seek, experiment, ask, and observe. It may sound strange to some people but we’re basically told to apply the scientific method to our religion (or maybe the secular world is just applying the religious method to science 😉 ). We’re told that if we will ask in faith that we can receive answers. If we try so much as an experiment on the gospel (i.e. try living just a portion of it) we’re promised to see results. Then we should observe the results, are they good or evil? If the results are good then that speaks to the truthfulness of the words. I would like to share with you some of the results of my experiments upon the gospel. If you’ve performed the same experiment on the word, I’d love to hear your story posted on your blog/Twitter/Facebook or whatever your medium of choice may be. I want to come up with some good way to do a blog hop so that we can link these posts all together if anyone is interested, but I haven’t found a technology that I love for that just yet. For now, feel free to just post links to your own posts in the comments. The Lord has promised to give us revelation so that we can know these things for ourselves. 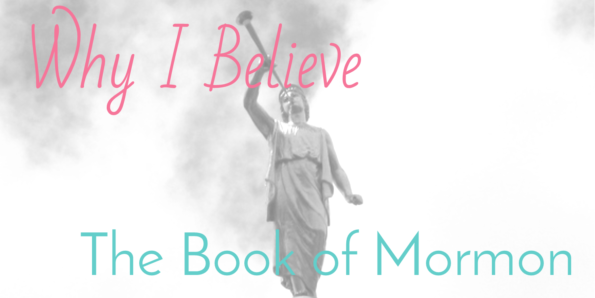 The Book of Mormon is not a long book, or a terribly difficult read. You can read it online, or on any mobile device, or even download it as an audiobook if you (like me) are lazy and would rather listen than read 🙂 All of these are completely free to anyone who would like to read them. Or, if you’d like a physical copy the missionaries will gladly bring you by a free copy. Or if you’d like a hard copy, but aren’t so sure about having the missionaries deliver it I would be more than happy to mail you one myself, no strings attached. I can give you my personal promise that the truths and spirit and message from this book will make your life better. …the Book of Mormon [and I would add by extension, the gospel associated with that book] was the most correct of any book on earth, and the keystone of our religion, and a man would get nearer to God by abiding by its precepts, than by any other book [or set of teachings]. My hope is as you read these posts that it will add to the light you’ve found in your own life and help that light grow brighter. 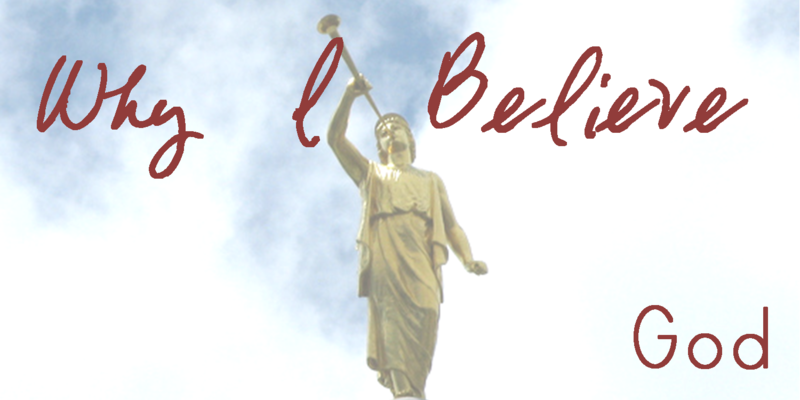 I hope you will join with me in this exploration of my faith.